Where did Christmas go!?! The last two-three weeks seem to have flown by in a flash! Did I not say that I doubted I would manage a post inbetween my last one and having our anomaly scan?? 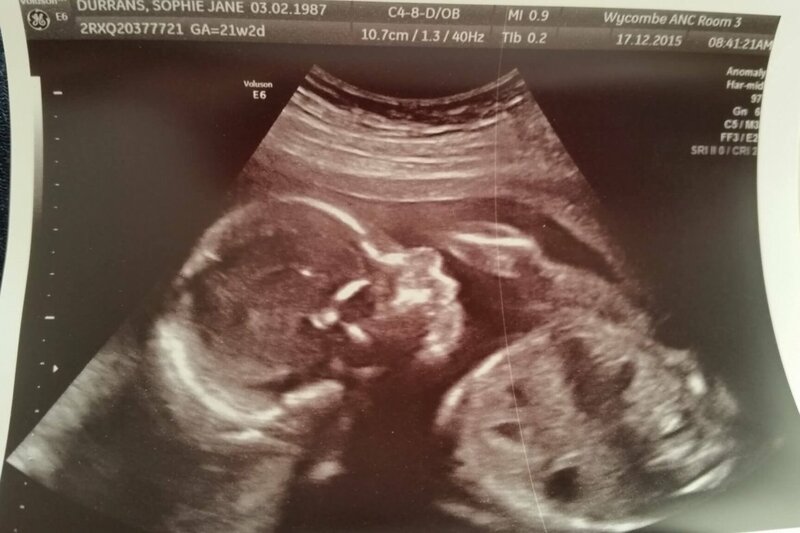 Well we had our scan on 17th December and the exciting new is…. 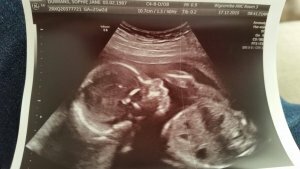 we’re having a girl!!!! She is doing just fine. Everything in the right place and working well as far as they can tell. They reckon she is a little small for how far along I was, but not enough for them to be concerned at the moment. As I’d said previously, I really wanted a boy, so it has taken a little getting used to the fact we’re having a girl! To explain a bit so I don’t sound horrible, *they* (whoever they are) reckon that the gender of the baby comes from the father’s side of the genes, and hubby is one of 3 boys, and his Dad was one of 3 boys, and each of his uncles have at at 2-3 boys. There are no girls on his side of the family for quite a while, so I’ve spent the last 12 years thinking I’m having a boy, and getting excited about that. And now I’m having a girl. It was just a bit of a shock to be honest. I’d spent weeks looking at all the cute boys clothes in shops, and now I’ve got to look at the girls clothes, and they’re all so…pink, and girly, and pink!!! I’m not a girly girl. I h.a.t.e pink. I don’t know how to do hair, or make up, or shopping. I’m good at climbing trees, and building dens, and playing rough and tumble. I’ve managed to get my head around it a bit more now. I’ve been out, and bought some clothes. Admittedly only one dress, and that was purple (surprise, surprise). I still can’t help but look at the boys clothes, I do love the very boy-ish clothes – the braces, waist coats, etc, but I now spend most my time looking at the girls clothes, and deciding which ones I like. We’re still referring to her as Blueberry, rather than changing it to Pinkberry however. And little Blueberry has spent every day for the last two weeks kicking me! I really struggled to start off with, as everyone said it would feel like bubbles, or popcorn, or going over a big hill, or X,Y,Z. And I never felt any of these. I noticed for sure that it was kicking when I was sat in a boring meeting at work. She was just kicking me lots, and it was a definite kick. Which made me think back to similar feelings I’d had on and off for a few weeks before, when lying in bed at night, but it didn’t feel like anything other people had been saying, so I didn’t think it was Blueberry. It’s really nice to feel her kicking though. I love lying in bed at night with my hand on my tummy feeling her kick on the inside and out, and then trying to get Chris to feel her kicking. More often than not though as soon as Chris puts his hand on my tummy she hides and stops kicking until he takes his hand off again! She’s definitely moving around more often now. Just sat here typing now I can feel her kicking, it used to be that I could only feel her when I was lying down or leaned right back but now I feel her when I’m sat at my desk, or on the sofa, or standing cooking dinner etc. It’s reassuring. How did you react when you found out the gender of your baby? Did it take you a bit of getting used to?